Details: Say Yes To coming clean with coconut extract and micellar water to remove makeup, cleanse and moisturize skin all in one, without rinsing. The gentle cleansing coconut micellar water draws out impurities without drying your skin. Specially formulated to help soften and smooth skin while providing needed hydration. The unique, easy to use pump dispenses the perfect amount each time, mess free. Directions: Twist to unlock pump. Take a cotton ball or pad to push down on the pump (twice should do it) for just the right amount of micellar water. Gently swipe across face, no need to rinse. The results are clean, hydrated and glowing skin. I absolutely have nothing bad to say about this product it does everything that it says it will. The micellar water leaves my skin so clean, soft and feeling refreshed. You all know that I suffer from adult acne so any product that soothes my skin and gets it really clean is a win to me. I tend to wear makeup quite often as I am a influencer and content creator so it is very important for me to take care of my skin and always remove my makeup each time I wear it. 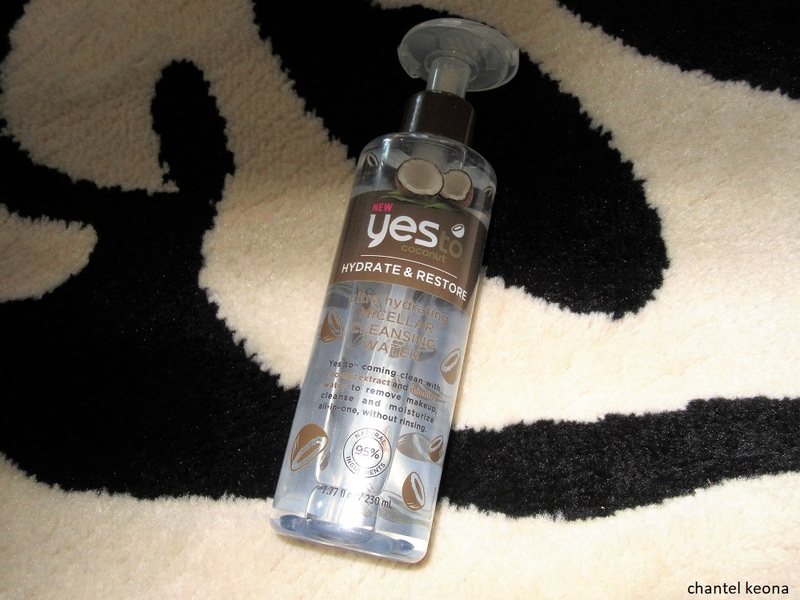 I am very pleased with this product so far and I definitely recommend that you give this micellar water a chance, I don’t think you will be disappointed. What micellar cleansing water have you tried? Let me know in the comments. That sounds so great. I have to try it to. Thank you so much for that post and your opinion about that product.